There are “for dummies” books everywhere these days, I figured I could borrow the title for this lesson. 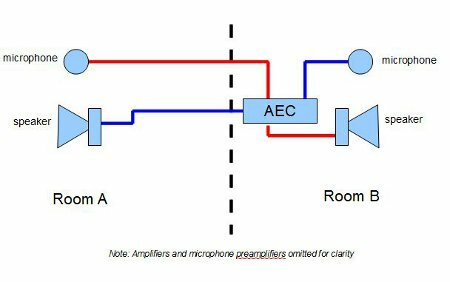 Anytime you are dealing with audio entering and leaving a room electronically you will have to consider acoustic echo. 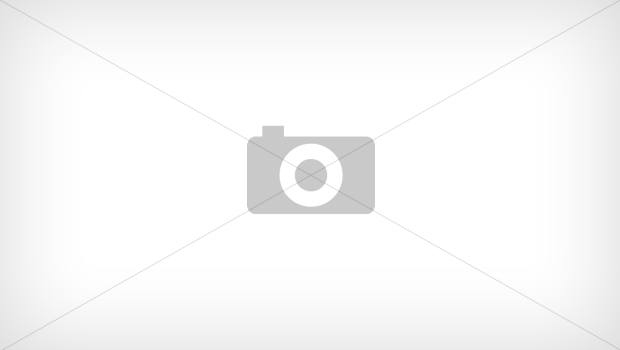 In most cases, this will be through a telephone of Videoconferencing system. Note: systems that only deal with local audio in a contained room do not have to deal with Acoustic echo. Let’s start with what it’s not – feedback! Feedback is a completely different issue and although it does share some of the same concepts, for all intents and purposes it is not the same. So what IS it then? Simply put, Acoustic echo is your microphones picking up audio from the speakers and sending it back. Since there is a delay to this “loop” generated by the line as well as the audio traveling though air from speaker to mic, the result is that the FAR END hears an echo of their speech. It is important to note here that Acoustic Echo does not happen in a vacuum – it is a function of two completely different systems operating together. The side that hears the echo is usually not the side that actually has the problem. I should stop and repeat that, as it is a very important troubleshooting and diagnosis tip: If you hear echo in a telephone/Videoconference system, the problem is probably at the other end. This is a very basic conference system operating between two rooms. 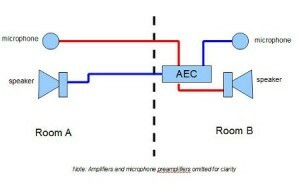 Note that the microphone in Room A is heard on the speaker in Room B. 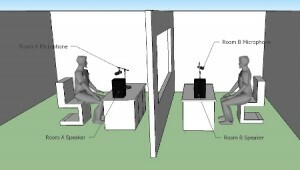 The voice of the talker in Room A is picked up by his microphone, transmitted through the cabling and played on the speaker in Room B. This audio travels through the air and gets picked up by the microphone in Room B. This is where the echo happens, as it now gets transmitted back to the Room A speaker and talker A hears an echo of what they just said. There will be more to come in future posts to help you set up and tweak a system with AEC.